POP UP store at The Space on Main, Bradford VT! 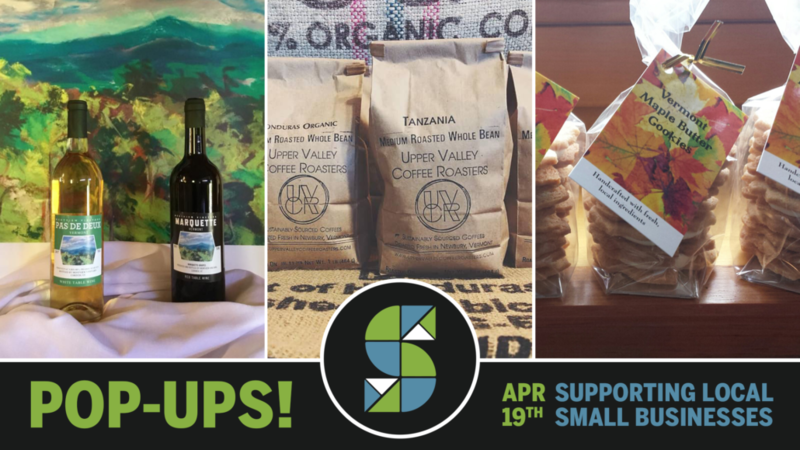 Please join Alice’s Kitchen, Blythedale Farm, Montview Vineyard, and Upper Valley Coffee Roasters at our pop-up store. Let us help you with your Easter shopping, or just make that day a little tastier! Alice’s Kitchen will have a limited quantity of the pastries listed below available that day. Please email alice@aliceskitchen.com to pre-order or inquire about pricing on cookies and cupcakes by the dozen. We encourage pre-orders of any size to make sure you find what you are looking for! No pre-order is too small, and will be accepted through April 10. Please feel free to inquire about pastry not on the list below. Whole peanut butter pies, flourless chocolate tortes, and Farmway chocolate chip cookies available for pre-order. Blythedale Farm from Corinth will be selling and sampling their fine artisan cheeses. Montview Vineyard will be selling artisanal wines made from their cold hardy grapes grown in Corinth. Both wines are $15 a bottle. Marquette 2017 – red table wine similar to a Pinot Noir. Pas De Deux 2017 – blended white wine which is dry and crisp. UVCR will be onsite brewing a variety of coffees on our pour over coffee bar, the 3-minute brew time is worth the wait! Pour over coffee is brewed by the cup and can be customized to your liking. Warm weather will also bring the cold brew, available by the cup or in a DIY Cold Brew Kit. We’ll also have all of our fresh roasted coffees on hand, available for purchase in 1/2# and 1# bags, take it home or great as a gift. Special orders or larger quantities available via email or online by selecting local pickup at checkout. Flavor of the Valley Norwich’s Winter Market, Saturday Apr 13th & 27th 9am-1pm!